Remote head video camera. 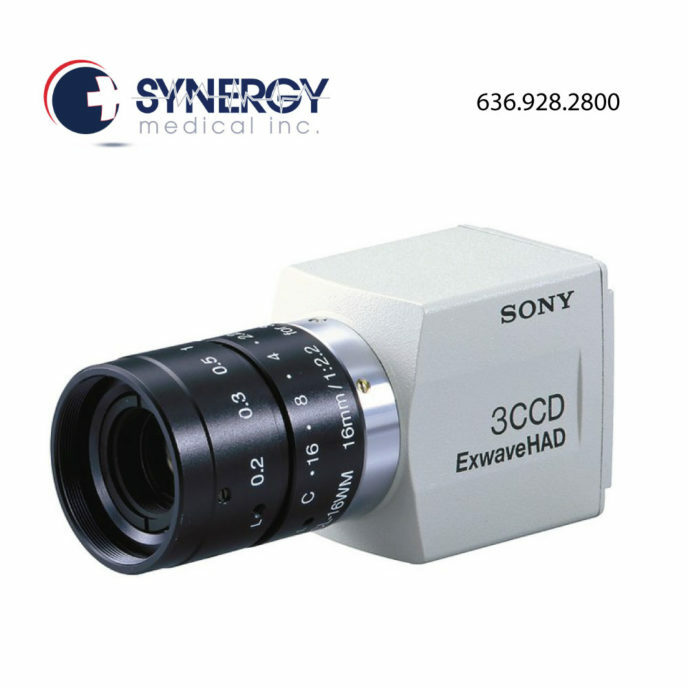 1/3″ CCD type 3-CCD with exwave technology. The 2-piece design makes the UL-2601 listed DXC-C33 a perfect fit for remote camera applications such as slit lamp and surgical microscopy. RGB, Y/C composite and DV output using Sony's i.LINK interface. Uses C-mount type lens mount. Remote head video camera. 1/3″ CCD type 3-CCD with exwave technology. The 2-piece design makes the UL-2601 listed DXC-C33 a perfect fit for remote camera applications such as slit lamp and surgical microscopy. RGB, Y/C composite and DV output using Sony’s i.LINK interface. Uses C-mount type lens mount.